A few people have asked for more information so here goes. 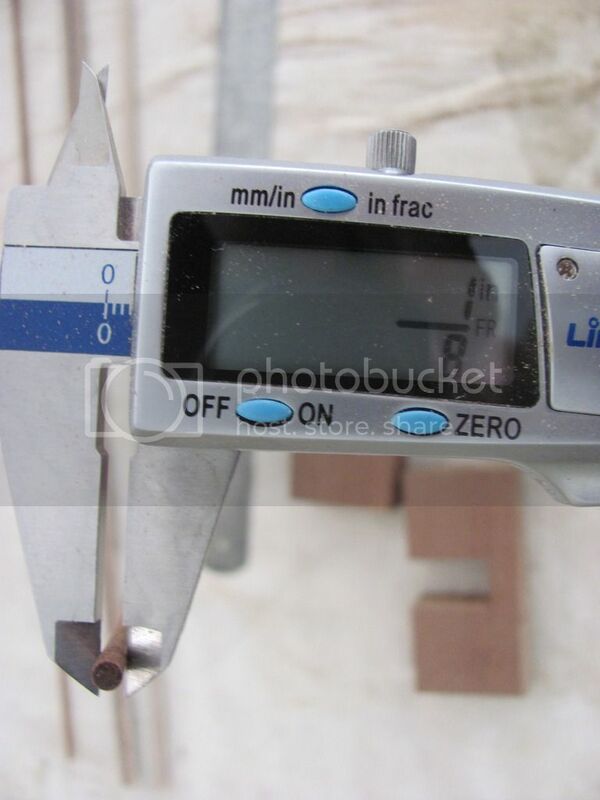 Use a piece of scrap timber preferably hardwood about 100mm (4”) x 45mm wide (1 3/4) x 20mm thick (3/4”). 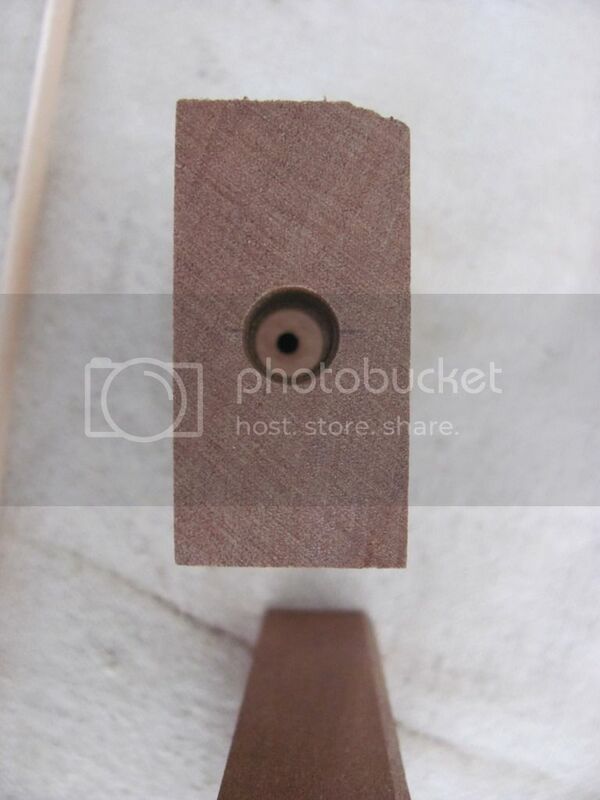 For 1/8” dowel bore a 9/64” (1/8” is to tight) hole straight through the length approximately in the centre, then cut a notch 3/4” wide and 1” from the end. This is the gap for the straight cut router bit This notch only needs to go slightly past the back edge of the 9/64” hole. Now bore a 11/32” straight down the centre of the 9/64” hole from the 1” end. 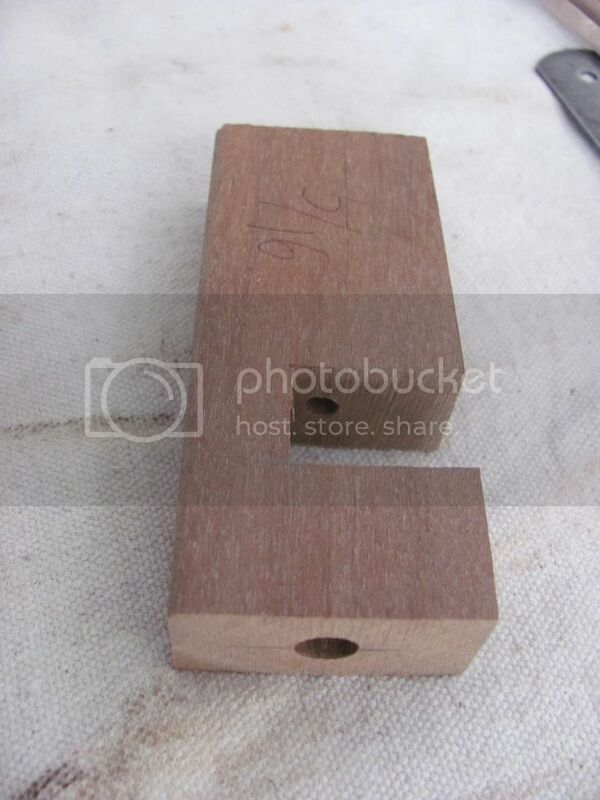 This size hole may vary depending on the size of the timber you are turning into dowel. I found that I had a few off cuts of 1/4’ square timber, if you take a fine arras off each edge it will fit nice and snugly into the 11/32” hole. It is important that the timber fits snugly in this end otherwise it will jump around and the dowel wont turn out as it should. Now all that has to be done is to clamp the jig to the base and guide of an upturned router, push a piece of 1/8” dowel through the 9/64” hole to line up the cutter, then you are ready to run a test. Put a piece of 1/4” square timber in your drill and do the chuck up fairly tight (this will centre timber in the chuck as drill chucks don’t like 4 sided items) start the drill to see if the timber is centred and running reasonably straight. 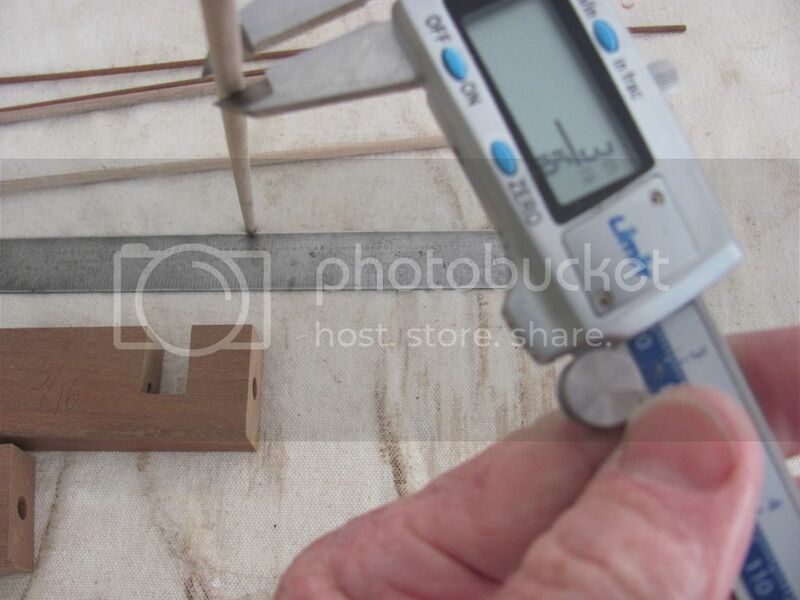 If all is going to plan clamp you upturned router in a wood vice or other device and fire it up then fire up the drill on a fast speed, now you ready to push the timber through the jig and if you have set up everything properly you will see perfectly round dowel coming out the other end. When the timber is in as far as it will go turn of the router before withdrawing the dowel otherwise you will destroy what you have just created. I find that if you are very careful you can turn the dowel around and run that last bit through the router so that the whole length is usable. Give the dowel a light sand and there you have it. Remember using routers upside down in a vice is dangerous and anyone doing this method does so at their own risk. Always think safety first and protect yourself. 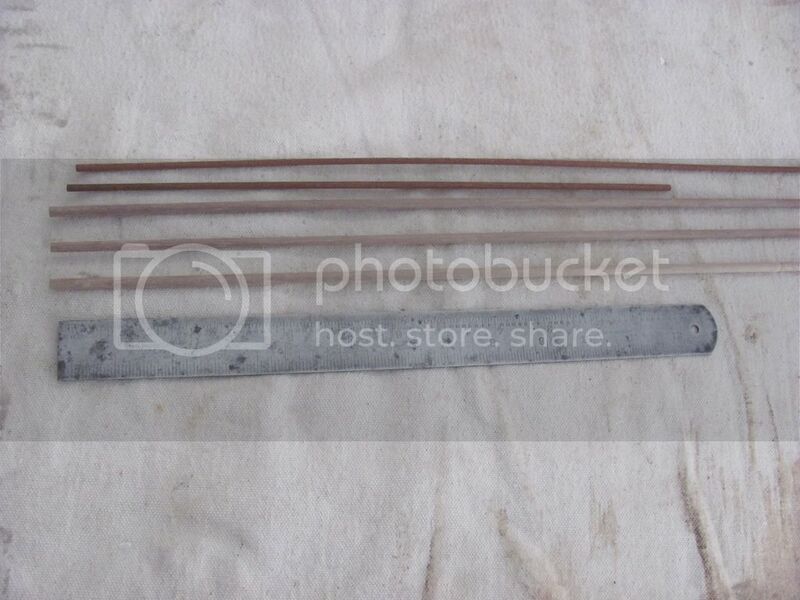 Off the top of your head do you remember what bits you would use for any other size dowels? And thank you, thank you very much!!! Thanks, this makes sense and is very usable. Nice to see how we can help each other here at LJ. Thaks Pjonesey. Simple and a very thorough description. Give me a chance and I’ll over-engineer this to hell. Give me a chance and I ll over-engineer this to hell. Hey LBD I am with you but I am using an American plan, Gatto’s grader. I still have my Aussie passport as well, however I do find a lot of people over here still use the imperial system. You will notice I converted some of it to metric but thought I better put the old imperial in for people who may follow the build when I get around to uploading the progress. A HUGE AUSSIE THANK YOU Peter from across the ditch…. Hey LBD I am with you but I am using an American plan, Gatto s grader. I still have my Aussie passport as well, however I do find a lot of people over here still use the imperial system. THANK YOU Dutchy…. I have now had my daily good belly laugh…..